Consuming refined sugar can impact mood, decision-making, and memory. Here’s how good it can be to give it up. I have a love-hate relationship with food. I love it; it generally hates me. Matter of fact, I love food so much that until a few years ago, I was extremely overweight. So overweight that I invented a piece of health tech to help me lose 80 pounds. It worked, and since then I’ve remained a healthy weight primarily by making sure I count my calories, don’t overeat, and get regular exercise. And for the most part, it’s been smooth sailing, and I even eat whatever I want most of the time: fish, chicken, pasta, diet soda, fruity yogurts, and a sweet snack once a day like a bag of M&M’s or a brownie. I also love my daily coffee with a few packets of sugar. A calorie is a calorie, right? As long as I don’t go above 2,000 calories a day, I know I won’t gain weight and I’ll remain a generally healthy person. The American Heart Association says men should eat no more than 37.5 grams of sugar a day and women should eat no more than 25 grams. But the World Health Organization now says even those allowances are too high, suggesting both men and women should eat 25 grams or fewer each day. The average American currently eats 126 grams of sugar a day—though most don’t realize it. Much of that amount comes from the refined sugars added to our foods during manufacturing. When I recently mentioned my weight loss and current daily dietary intake to a doctor friend of mine, I expected her to congratulate me on my success. And though she did, she also cautioned me that while my daily calorie levels were something to continue, she was worried I was getting too much refined sugar in my diet. As she knows I have an interest in not only maintaining a healthy weight but in mental fitness as well, she pointed out that study after study shows how bad refined sugar is for both our waistlines and our brains. She explained that eating too much refined sugar—which is found in most sweets, sodas, white breads, and pastas, virtually all “fat free” and “low fat” snacks, fruit juices, yogurts, energy drinks, most Starbucks drinks (including many coffees), sauces (ketchup, BBQ sauces, mayo, pasta sauces), and countless other packaged foods—has now been shown to make us cranky, make us make rash decisions, and make us stupid. My friend’s point was clear: Just because I’m thin and my blood tests show no sign of diabetes, it doesn’t meant the amount of refined sugar I’m eating isn’t negatively effecting my health. Study after study shows how bad refined sugar is for both our waistlines and our brains. Still, I found it hard to believe the refined sugar I was eating at every meal could really effect my cognitive abilities so much, so my friend said there was only one way to find out for sure: give up all refined sugar for two weeks to see if I noticed any changes. And that’s exactly what I did. The day I began my two-week refined-sugar-free diet, I thought it was mostly a pointless exercise, and that I would notice little, if any, differences. How wrong I was. By the time I finished, it was nothing short of a revelation. 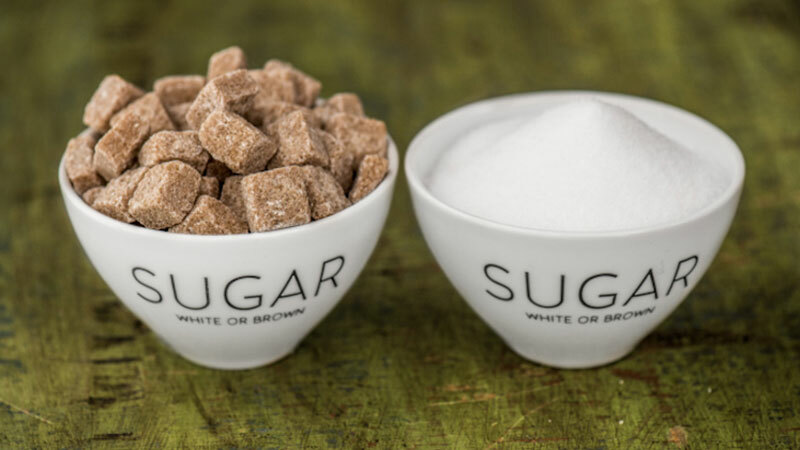 Giving up refined sugar isn’t easy from a practical standpoint. 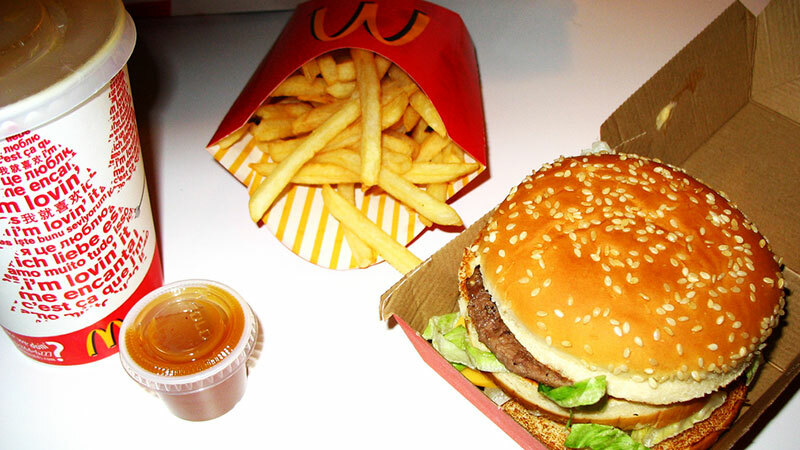 It’s found in virtually all packaged foods and drinks and most food at fast food restaurants (a large Big Mac meal deal has 85 grams of sugar—236% of your daily allowance). That means if I were to escape refined sugar, I was going to have to spend more time at home cooking fresh foods than I was used to. Further, not only would I have to cut out my once-a-day sweet treat, but also all canned drinks (soda, energy drinks, and fruit juices), white breads and pastas, and those deceptively “healthy” yogurts with fake fruity sauces added for taste. I also gave up sugar and milk in my coffee. When I began my refined-sugar-free diet, I thought it was mostly a pointless exercise. By the time I finished, it was nothing short of a revelation. Instead of all of the above, my refined-sugar-free diet for two weeks consisted of only fresh foods: fruits and vegetables, fish, chicken, and meat, and whole-grain pasta and rice. Most of these I already ate regularly—only side by side with foods containing refined sugar. It’s also important to note that for these two weeks I did not give up sugar entirely, only refined sugar. I ate plenty of natural sugar—those found primarily in fruits, and the ones that the body turns into glucose from the meats, fats, and carbohydrates we eat, which are a very important source of fuel for the body and, more importantly, the brain. Without the consumption of natural sugars, the body would not have enough fuel to survive for long. One last critical point: I didn’t change my daily calorie intake during my two-week journey. I stuck to eating between 1,900 and 2,100 calories a day, just as I do when I eat a diet with refined-sugar foods. I also kept to my normal exercise regimen. With everything set, I began a refined-sugar-free diet. Here’s what I experienced. The first day I eliminated refined sugars from my diet, I thought it was going to be a cakewalk. I ate plenty of fruits, had fish for lunch, and a steak with a side of vegetables for dinner. I missed the sugar and milk in my coffee and I did miss my daily sugary treat—but it wasn’t such a challenge giving them up. Things changed radically on the second day. Even though I had had a filling breakfast and lunch (two oranges, eggs, and whole-grain rice with vegetables), around 2 p.m. I suddenly felt like I had been hit by a truck. I felt foggy and had a headache, which never happens on my normal diet. This fogginess and the headaches continued intermittently for the next two to three days. During that time, I had intense cravings for both soda and sugary treats. On the third day, I actually got the shakes for a period of time. It was very, very hard not to have something sweet. I had intense cravings for both soda and sugary treats… By the end of Day 4, I would have sold my dog for a brownie. Intense? By the end of Day 4, I would have sold my dog for a brownie. The fogginess and lack of focus at one point got so bad, I was worried I wouldn’t be able to concentrate on the stories I needed to file that week. I seriously considered having an energy drink “for the good of my health” (I resisted). Needless to say, the continuing brain fog and resulting lack of focus made me very irritable and even depressed. I became cranky and impatient, and was unable to concentrate on things for significant lengths of time. But then on Day 6, something happened. The fogginess began to disappear along with the lingering headaches. 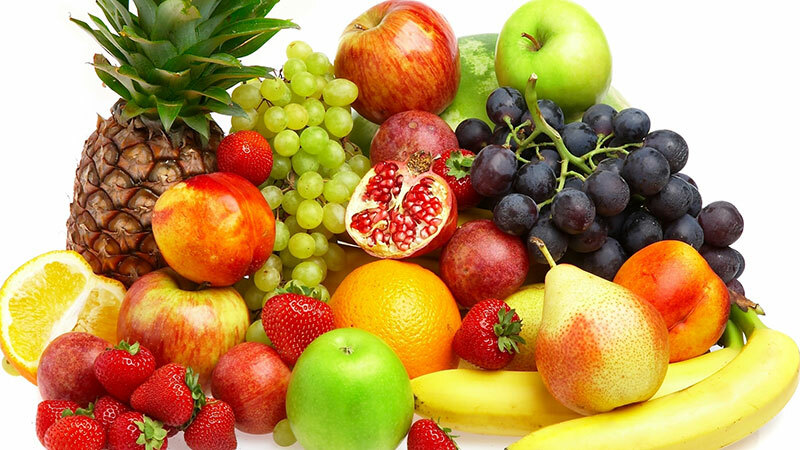 The fruits I were now eating on a daily basis began tasting sweeter. By Day 8 or 9, I felt more focused and clear-headed than I had at any time in recent memory. This translated into greater productivity—for example, I was more engaged when interviewing sources for stories. I was better able to focus on what they were saying and could rapidly respond to their answers with new queries and reformulated ideas with a speed and clarity I’ve never possessed before. While reading a book or article, I felt like I absorbed more detail and information. In short, I felt smarter. By Day 8, I felt more focused and clear-headed than I had at any time in recent memory. . . . In short, I felt smarter. And talk about clarity: By the final days of my diet journey, I felt so focused, it was as if I were a different person. This translated to a change in mood that not only I noticed, but my friends as well. As dumb as this sounds, I just felt happier than I had been two weeks earlier. But mood and mental clarity weren’t the only benefits I noticed by the final days of my refined-sugar-free diet. Sleep is a critical part of mental health. Not only does it give the conscious mind respite from the day’s activities, it helps flush out toxins from the brain. A good night’s sleep also helps make us smarter. I had no expectation that giving up refined sugar would help me sleep better, but it did. On average, by Day 6 or 7, I fell to sleep within 10 minutes of lying down. Before I cut refined sugars from my diet, it usually took me about 30 minutes to fall to sleep. I also discovered I began waking earlier and more naturally, and that it wasn’t as hard to get out of bed in the morning. The final thing I want to mention about my refined-sugar-free diet was its effect on my weight. I did not undertake this experiment to shed pounds, and since this wasn’t a weight-loss diet, I kept to eating the same number of calories as before. I also ate plenty of fats (red meat, avocados) and plenty of carbs and natural sugars (from fruit, veg, and whole grains). The only thing that I changed about my diet is I eliminated any calories from refined sugars. The only thing that I changed about my diet is I eliminated any calories from refined sugars. And I lost 12 pounds in two weeks. And I lost 12 pounds in two weeks. The reason is though my calorie intake remained the same, my body was no longer fighting a constant deluge of refined-sugar intake it needed to process nonstop, says Boulton. After two weeks of eating a refined-sugar-free diet, I can say my simple assumptions about the effects of my previous diet on my body and cognitive function were wrong. After giving up refined sugars for only two weeks, I feel as if a veil has been lifted and I can see clearly for the first time. Mentally, I feel better than I have in years. I’m happier, more aware, and more focused. I sleep better without any disruptions and wake more refreshed than ever—I haven’t felt this energetic since I was a teenager. My relationship with hunger has also changed. Sure, I still get hungry—just nowhere near as often. Eating a diet free from refined sugars fills me up and keeps me full for seven or eight hours. This has changed my concept of what my previous bouts of “hunger” actually were. I now realize that prior to this diet, most of the times I had felt “hungry”—every three hours or so—it was my body reaching out for another sugar hit. It wasn’t true hunger. Mentally, I feel better than I have in years. I’m happier, more aware, and more focused. As for those previous daily sweet cravings I assumed were perfectly natural: sugar in my coffee? Don’t even miss it. Those shelves full of candy bars at the check out? When I now see those sticks of chocolate-coated refined sugar, they might as well be pulped cardboard—that’s how much I now desire to eat them. Weaning myself off refined sugars has also allowed my body to reset what it perceives as sweet. For the first time in my life, the richness and nuance of the flavors of fruits and vegetables pop when I eat them. Now I understand why a century ago, oranges were given to children on Christmas Day—they were an incredibly sweet treat. Who needed chocolates? As positive as my experience has been—and as great as I feel—I’m worried that I won’t be able to keep saying no to refined sugar. The odds are stacked against me. Refined sugar is hidden in tens of thousands of foods and its addictive effect on the brain is more powerful than that of cocaine. Its presence and its marketing power are everywhere, which makes it nearly unavoidable unless you are willing to do what I did and prepare all of your meals using only fresh foods—something time and work commitments don’t always make possible. Still, the benefits I’ve experienced from cutting refined sugar from my diet for only two weeks are too powerful to ignore. And that, I hope, will be enough.